decide whether they would prefer an inkjet printer that uses an ink tank versus one that uses ink cartridges. tech experts, printers with refillable ink tanks can last for nearly two years in a typical household. So what are the notable differences between ink tanks and ink cartridges? documents or the images that you need from your device. Most printers that can print color come with one black cartridge and a color cartridge that combines 3 primary colors to come up with a variety of color combinations. Whenever a cartridge runs out, it can either be replaced or refilled; it is typically significantly cheaper to refill a cartridge rather than purchase an entirely new one. low print costs and the availability of inexpensive refill bottles. experience with regular printers that use cartridges are significantly higher compared to ink tank printers. average inkjet model (which uses cartridges), it may take some time before the customer actually starts to make savings. Replacing cartridges can also be an expensive affair because print heads must be replaced every time the ink in a cartridge runs out. 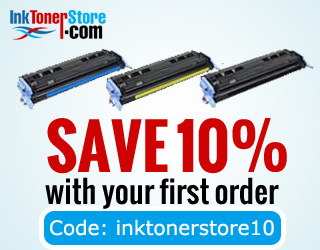 considerable savings in the end by switching their printer for one with a tank.